October brings new and exciting ventures to Stavna! Stavna is excited to be linking with CultureWorks to celebrate art & culture! CultureWorks is an organization that inspires, enables and cultivates the cultural life of our community. ArtoberVA is a celebration of arts and culture in the Richmond and Tri-Cities area. CultureWorks spends each October promoting events, and encouraging residents and visitors to engage in the world class arts and culture offered by our Region. During the month of artoberVA, organizations and artists can share events, performances, exhibits, or pop-ups on our calendar. 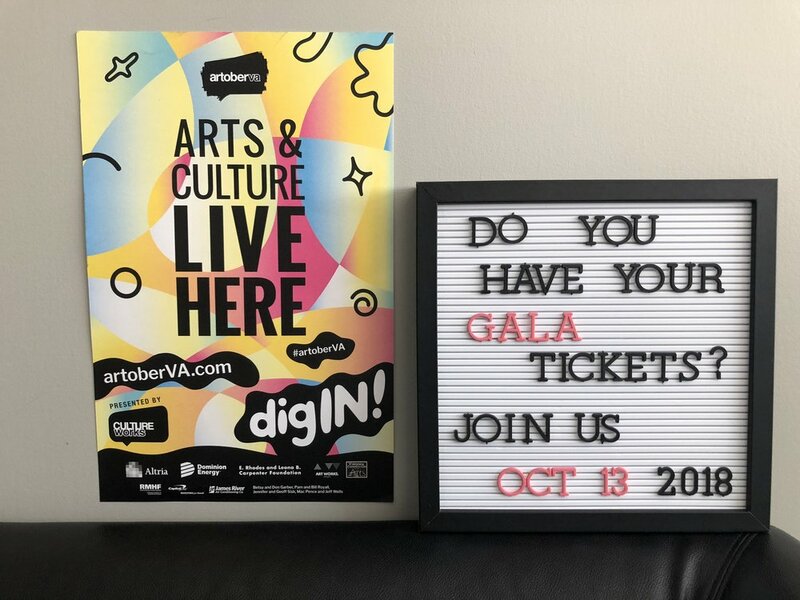 The community is invited to attend and engage with hundreds of unique opportunities during the entire month of October! Check out more events here! Next week, CultureWorks will be coming to Stavna Ballet to collaborate with us. Come help us stencil, take pictures, and celebrate the arts for artober! Date TBA by the end of this week. What else is Stavna doing in October? Come to the Clover Hill Library on Saturday, October 6th from 10:30-11:15am for our storybook ballet workshop! Let your little ones get creative and explore movement and upbeat dance exercises. Click here to sign up today! REACH FOR THE STARS GALA! Join us on Saturday, October 13th from 7:00-10:00pm at the Salisbury Country Club for our annual Reach for the Stars 2018 gala. Buy your tickets today to help support our outreach program, Stavna Reach. Come see Stavna on Sunday, October 28th at the Robinson Theatre for their Fall Festival! This community gathering will highlight all different arts and culture organizations. See Stavna perform Sleeping Beauty excerpts and join a interactive kids ballet workshop!